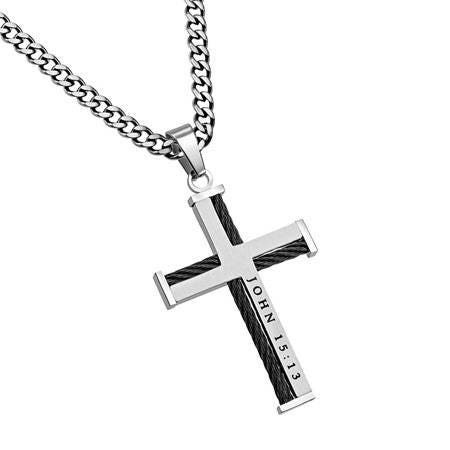 Solid stainless steel matte finish cross with 4-sided cable ties. 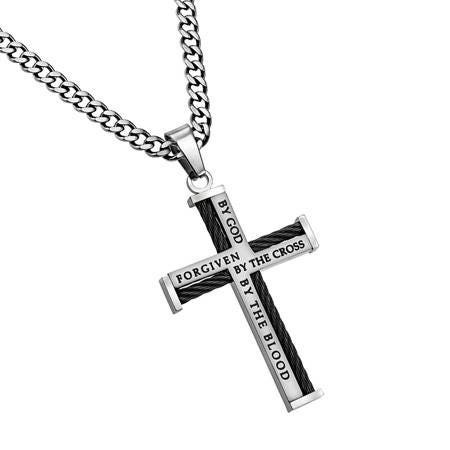 Cross front reads “Forgiven By God, By The Cross, By The Blood” back reads “John 15:13”. Cross measures 1 3/4” x 1 1/4. Available on 20” or 24” inch Stainless Steel Upgrade Chain.